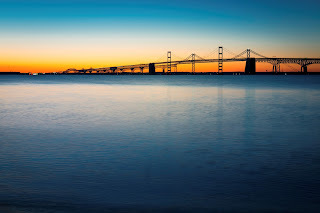 Close to multiple metropolitan centers and abutting the nation’s capital, Chesapeake Bay operates today as a major tourist attraction, but its past includes a varied and often colorful series of events. As the biggest estuary in the United States, it offers visitors 11,684 miles of winding coastline to explore. 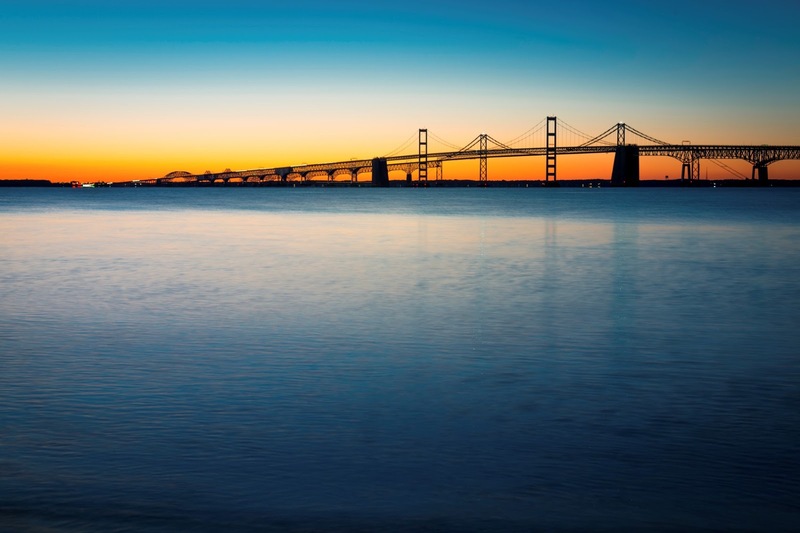 Travelers experience everything from boating to catching the famous blue crabs of the bay. Chesapeake Bay has its origins in the warm environment of the late Eocene epoch. Around 35 million years ago, a bolidea meteor radiating twice the light of a full moonslammed into the ground between what is now Virginia and Delaware. The resulting Chesapeake Bay meteor crater measured 53 miles in diameter and eight-tenths of a mile in depth. With a newly formed basin, surrounding rivers diverted their courses and created a single channel that dug an impressive river valley over the subsequent millennia. The currently recognizable Chesapeake Bay formation has only been around for about 12,000 years, created when sea levels rose from melting glaciers and submerged the river valley. Surprisingly, the meteor’s havoc continues to this day. Bedrock fractured by the impact often allows deeper saltwater to seep into freshwater aquifers. These same fractures also cause surrounding land to slowly slide down into the ancient crater. Additionally, in 2013 while scientists were studying the impact crater, they discovered “the oldest large body of ancient seawater in the world,” early Cretaceous seawater, resting about a half-mile underground near the bay. It is estimated that the water is between 100 million and 150 million years old. 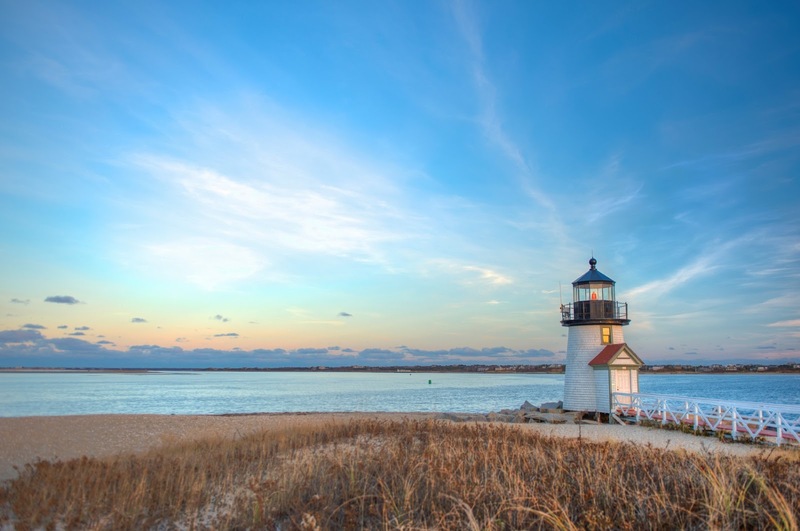 As one of the most iconic geographic formations on the Eastern seaboard of the United States, Cape Cod has played a role in North American history since the earliest colonial period. Physically, the cape appears like the arm of a bodybuilder in a biceps-flexing pose as it juts out from the southeast corner of Massachusetts. Due to its moderate climate and close proximity to major metropolitan centers, it’s a favorite destination of tourists to this day. As beautiful as it is ecologically complex, Puget Sound is a favorite destination of boaters, travelers, explorers and romantics. Whether they've seen the area from aboard a ferry or atop a kayak, many ocean enthusiasts wish they could bring just a bit of this special place home. It might seem impossible to contain the majesty of the Puget Sound in a small frame, but that's exactly what this 3D nautical wood chart does. 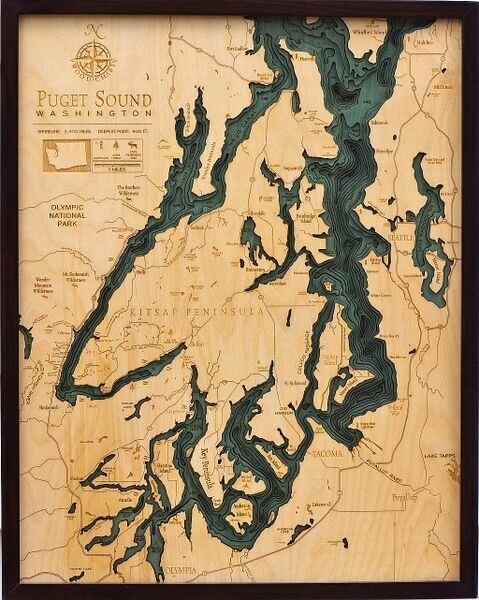 Featuring stunning detail and sleek styling, this laser-etched representation of the area is a must-have for anyone who's fallen in love with Puget Sound.